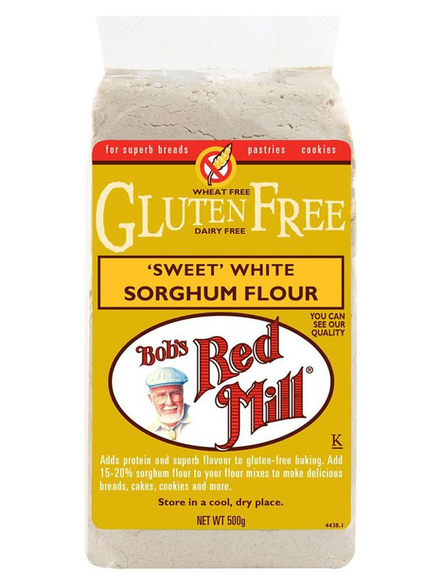 Sweet White Sorghum Flour 500g Bobs Redmill - HealthySupplies.co.uk. Buy Online. A great alternative to wheat flour. Recipes on the back of the packet. Sorghum originates from Africa and India, though the Bob's Red Mill crop is grown in a special gluten free environment in America. Sorghum is the seed of a grass similar to corn. Sorghum is similar in size and flavour to millet. This wholegrain, sweet flour is ideal for making breads, biscuits and cakes. There is a scone recipe on the back of the packet to get you started.